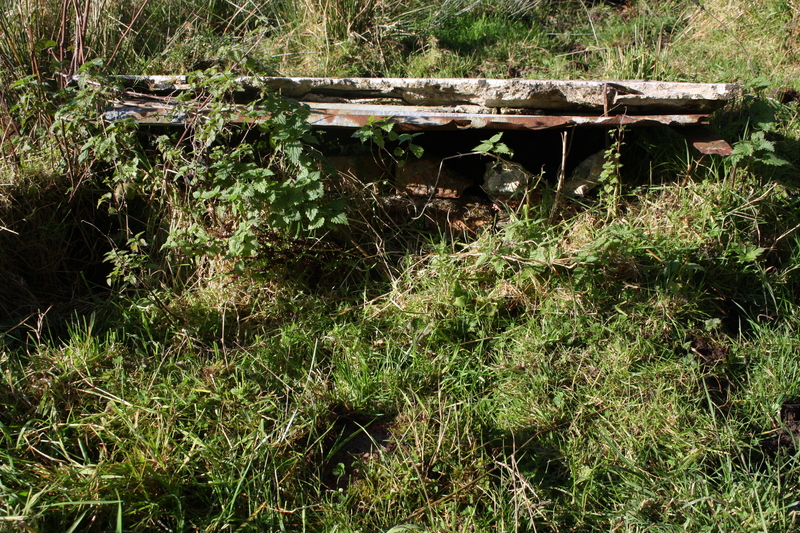 One of the sites I most frequently receive inquiries about is Clorach, near Llanerchymedd. It is one of the most enduring and endearing stories associated with the early saints in North Wales. That of how the founders of the two great Anglesey monasteries, at Penmon in the south east and on Holy Island in the north west, would regularly trek across the island to meet at this central point to chat and set the world to rights. The story tells us that Seiriol walking westwards in the morning and eastwards in the evening always had his back to the sun and thus never got a tan (regardless of how he spent the rest of his time). Cybi on the other hand always walked towards the sun. The account has been set in verse by both Matthew Arnold and also by Sir John Morris Jones We give the first verse of the latter’s work here. At the point where they met were two strongly flowing wells directly opposite to each other, one on either side of the road. These wells have had a reputation as an important site which is documented back into at least the 18th century and probably long long before that. The Rev John Skinner was shown and sketched the two wells during his 1802 tour of Anglesey, noting that both were enclosed in a reservoir of stonework. He doesn’t comment on any customs of the wells, other than repeating the story that they were the meeting place of the two saints. He does record being told that they were close to the former nunnery of St Claire which he locates about 1/4 mile to the north of the wells. There does not appear to be any other record of this nunnery having existed. 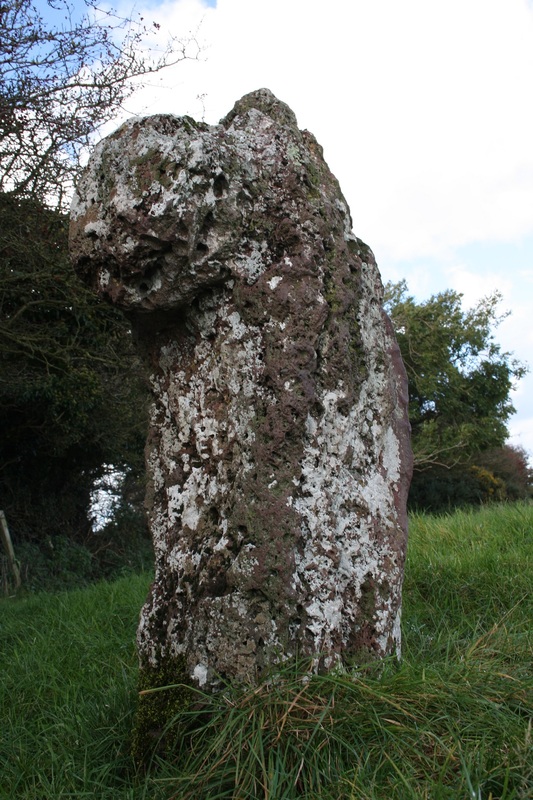 Skinner, and all subsequent visitors, also make particular reference to the nearby Thief Stone, Carreg Leidr (Leidr y Frydog), a standing stone in a field close to the wells. Legend tells that this represents a man who stole the chained Bible from the nearby church, and was turned to stone as a result of his deed. The square protuberance at the top being the Bible still in his hands. The legend frees him to run three times around the field each Christmas Eve before returning to his station. The wells are mentioned, though not described by William Cathrall in his 1828 History of North Wales where he notes that the two are remarkable not for their healing powers but for their history in relation to the two saints. Although Angharad Llwyd in 1833 notes that the wells are still held in high estimation she doesn’t refer to any particular virtues of the waters. The earliest reference to healing attributes that I’ve seen occurs in The Lives of the British Saints which states that people would formerly visit the wells for cures for various diseases . Francis Jones’s Holy Wells of Wales includes a reference to an 1893 document which states that Ffynnon Seiriol would be visited in the dead of night in the nineteenth century and water would be taken to cure sick people. There does not appear to be a record of any specific complaints for which the waters were used. The Gruffydds’ book adds to this the tradition that the spot was considered a good place for couples to meet up to reconcile differences following an argument.Thus we are left to consider whether the healing beliefs of the wells arose as a new custom during the 19th century, or whether it had always existed and was ignored by, or just unknown to the earlier historians. An article by Miss E M Fussell (1921) doesn’t help. She discusses bathing in the well by sufferers from rheumatism and the floating of handkerchiefs in the well for divination. I tend to believe that she has confused this well with either Cybi ‘s well at Llangybi in Caernarfonshire or a closer one in Holyhead, both of which had traditions of divination. Of course it is always possible that traditions migrated from one well to another over time and were indeed practised here too. 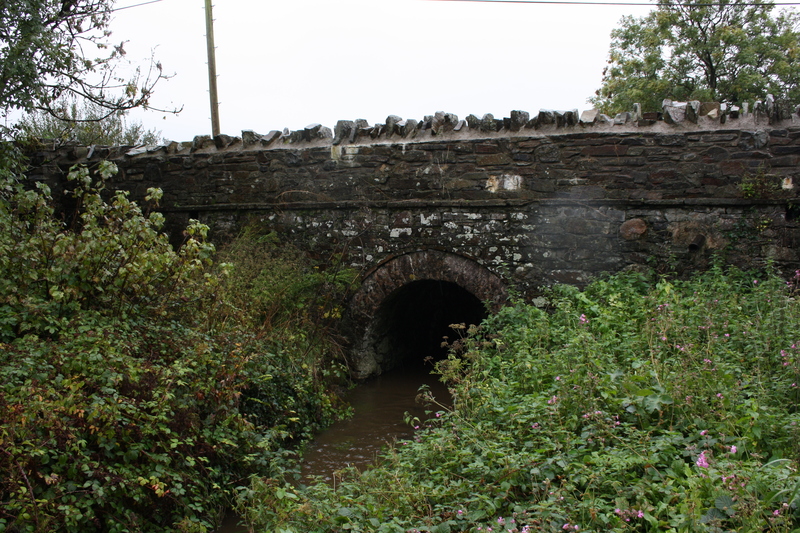 The pair of wells were reduced to the single well we see today in around 1840 when the road was realigned and the bridge, Pont Clorach, built over the stream here. At this time, the well to the north of the road, that of St Seiriol, was lost under the bridge foundations. St Cybi’s remained untouched on the southern side of the bridge. There remains some difference of opinion as to whether the one remaining well is that of Cybi or Seiriol. Most mapping and reference sources however identify it as Cybi’s after Skinner’s eighteenth century sketch which labels the wells and marks Cybi’s on the southern side of the road. On the other hand Baring-Gould and Fisher, followed by Francis Jones, suggests that it is Seiriol’s well rather than Cybi’s that has survived. So this is what we see today; the old stone structure repaired and topped with brick, covered by a concrete and iron lid to keep out the cattle. 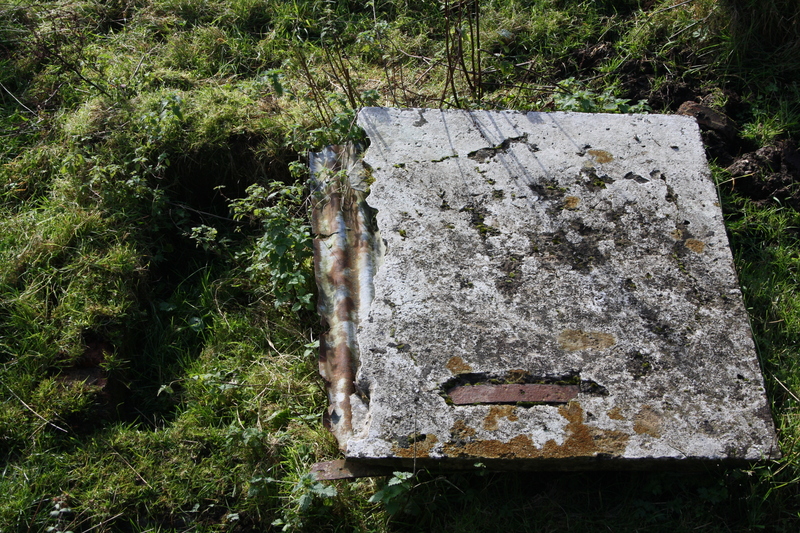 The Gruffydds record that it was in use as a local water supply up until the 1950s when piped water arrived in the area. Overgrown now and apparently the inside walls have collapsed blocking access to the spring, although it still produces water that flows out from beneath into the surrounding ground. 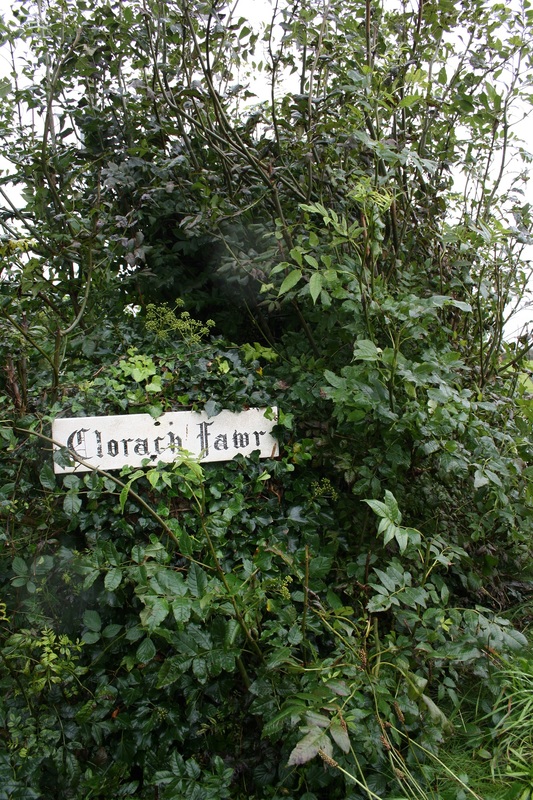 There is another well dedicated to Cybi about 3 miles to the west, and there has been tradition in this area that this well marks the Saints’ meeting point rather than the Clorach wells. Clorach should probably be an iconic destination in any tour of the historical religious sites on Anglesey, but quite clearly it is a huge anticlimax as many people before me have discovered. Whatever the travel writers and historians of the early Victorian period said about the local importance of the springs wasn’t heard by the bridge builders. It is hard to tell whether their accounts of the high esteem in which the wells were held was exaggerated, whether even by their time it was receding from memory, or whether even then as so often today progress needs to take precedence over history and the bridge was built regardless of the history it was destroying. “Two saints met often where those waters flow. Eirlys and Ken Lloyd Gruffydd (1999) Ffynhonnau Cymru. Cyfrol 2. Sabine Baring Gould and John Fisher (1907) The Lives of the British Saints. Miss E M Fussell (1921) Some Aspects of Monasticism in Anglesey in Transactions of the Anglesey Antiquarian Society. lovely photos and very interesting about the man being turned into stone! !